There’s a major challenge when it comes to getting everyday consumers to use dapps. It turns out that interacting with the blockchain isn’t intuitive or user friendly yet. Normal web browsers can’t write to the blockchain. There are blockchain browsers like Mist, but they can be tricky to use, especially for someone new to decentralized networks. That’s where MetaMask comes in. Their mission is to make using Ethereum dapps as easy as possible. This guide will get you started and teach you how to use MetaMask. The traditional internet, where you’re reading this article, relies on HTTP requests to communicate between your computer and web servers. In contrast, Ethereum doesn’t have a single server for handling requests. Instead, an Ethereum browser needs to establish a connection with the nearest trusted node and ask that node to relay requests. Alternatively, you could set up a full node on your computer to relay requests. However, that option isn’t great for most users as the full Ethereum blockchain is over 400GB, before pruning. In addition to being a gateway between the Ethereum blockchain and standard browsers, MetaMask is also a wallet. It can store multiple addresses and private keys for you. You can also send, receive, and buy Ethereum and Ethereum-compatible tokens directly through the browser extension. More than being a wallet, MetaMask manages multiple identities for you. You can log into one dapp with one address. Then you can interact with another dapp using an unrelated address. Once you learn how to use MetaMask effectively, it keeps your identity private and your data disconnected from each other. Learning how to use MetaMask is straightforward as far as wallet applications go. Most functionality you need is just a few clicks away. When you want to interact with a dapp via your browser, MetaMask will usually open a pop-up that confirms the address you want to use and any transaction information. Just follow the on-screen prompts to start interacting with the Ethereum blockchain directly from your normal web browser. MyEtherWallet is probably the most widely-used application for MetaMask in the cryptocurrency space. You can use MyEtherWallet without MetaMask. However, it’s the safest way to login, store your keys, and avoid phishing sites. You can use MyEtherWallet to see the Ether and Ethereum-compatible tokens you hold at your MetaMask address. EtherDelta, OasisDEX, and MAKER Market are cryptocurrency exchanges that allow you to log in using MetaMask. CryptoKitties is in top competition with MyEtherWallet for most widely-known Ethereum dapp. If you want to interact with the CryptoKitties contracts to breed, trade, or buy cats, you’ll need MetaMask. Once you have the browser extension, bidding in auctions or breeding your cats is easy. CryptoPunks is another similar idea for digital collectibles that uses MetaMask for trading. 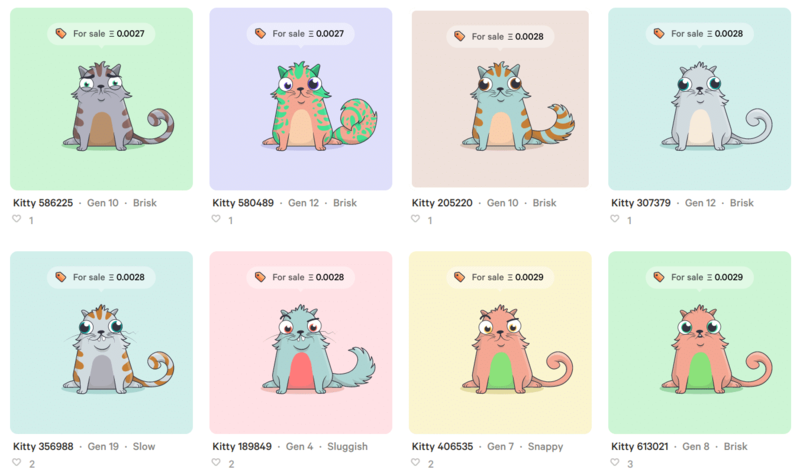 CryptoKitties is only one facet of the digital collectibles space. Digital art on the blockchain is also growing in popularity. DADA.nyc is one such place to buy blockchain art. Using MetaMask you can bid on a piece of digital art that can’t be copied or otherwise reproduced thanks to blockchain technology. Etherplay is an online arcade game platform. Like old arcades, user pay a small fee to play and they can then compete for high scores and blockchain glory. Sometimes, Etherplay hosts competitions where the winners earn a reward for playing. Login requires, you guessed it, MetaMask. If you want to be a freelancer or hire a freelancer on the blockchain, then you might want to check out Ethlance. They’re creating a marketplace for freelancers and employers that’s decentralized and low-fee. You can sign in with MetaMask and get started on a project right away. MetaMask is playing an important role in making blockchain more usable for the general public. It’s the bridge between the traditional internet and the decentralized economy. Expect future dapps to rely on such browser extensions and build on their success to integrate blockchain systems into the web as we know it. It’s not likely that blockchain will replace the current internet, just augment it. Building those bridges is a big step in the right direction for blockchain’s future.